Keep your Internet connection private with multiple VPN protocols support. GL.iNet Slate provides the best encryption and authentication with OpenVPN. Meanwhile, WireGuard® gives the privacy-minded users a fast and simple VPN that utilizes state-of-the-art cryptography. 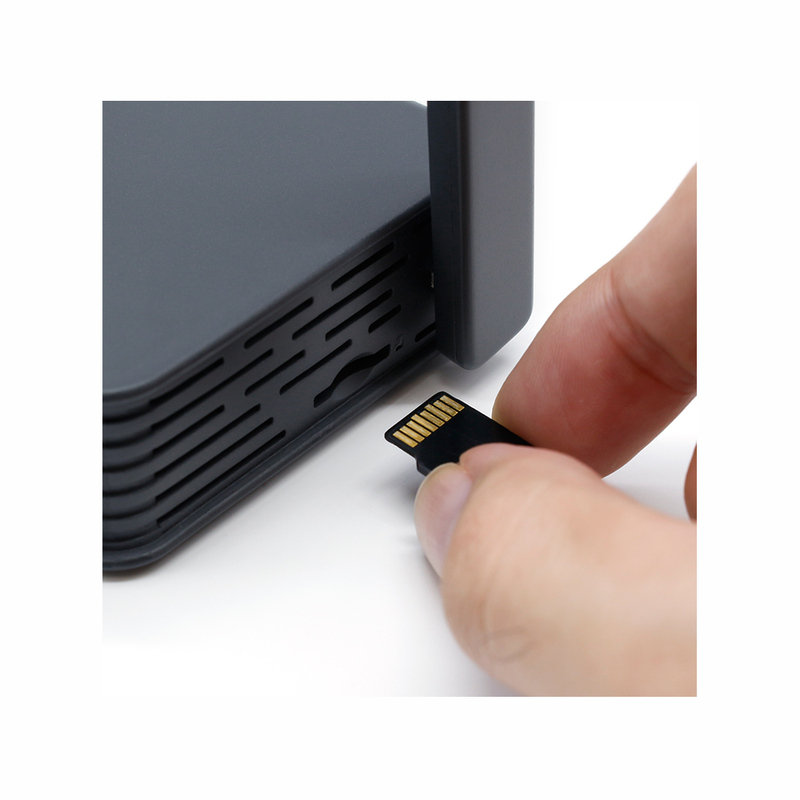 Fast Ethernet: 3 gigabit ports for quick file sharing between other gigabit-enabled devices. Slate is designed for frequent travelers, it is therefore both compact and lightweight. It can easily slip into a backpack, or even your pocket and take it with you anywhere. It also comes with a USB port for connecting a 3G/4G USB modem. Slate brings all your workplaces under a digital roof with a secure VPN. Connecting your global offices with Slate so the staff from all locations can communicate with each other remotely and all data is shared securely. You don’t need to think about how your workplaces might change your network preference. Apart from its powerful built-in firewall, Slate also support VPN, WireGuard and DNS server to level up your online security. 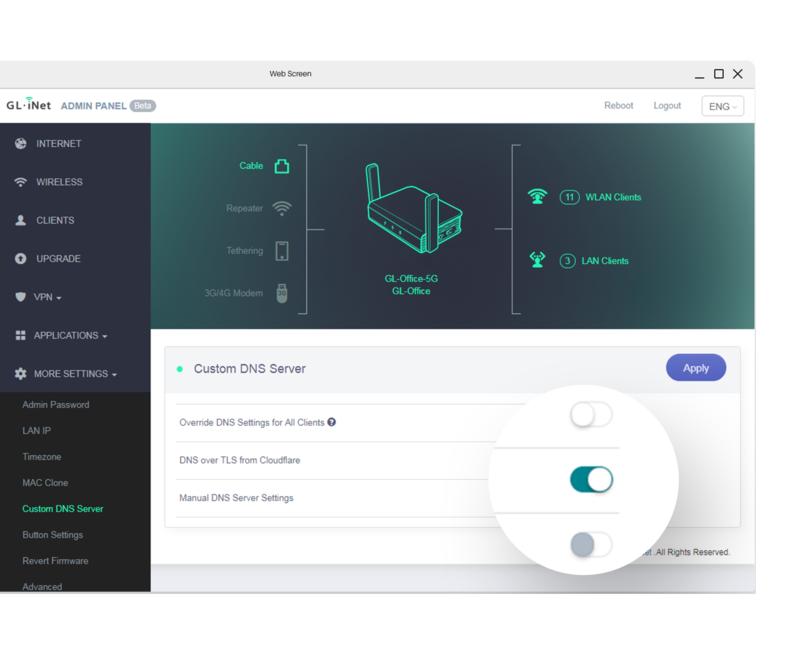 With brand-new Web UI 3.0, you can set up VPN server easily. It can be configured as VPN server and allow users to access files securely as if they are at home. Turning a hand-drawn design to a fully functional prototype is not an easy task, hundreds of hours have been put into the project to make it happen. We take pride in all of our products and we hope you would enjoy the product as much as we do. It is very easy to set up and it really makes it possible for you to have a secure internet wherever you go. 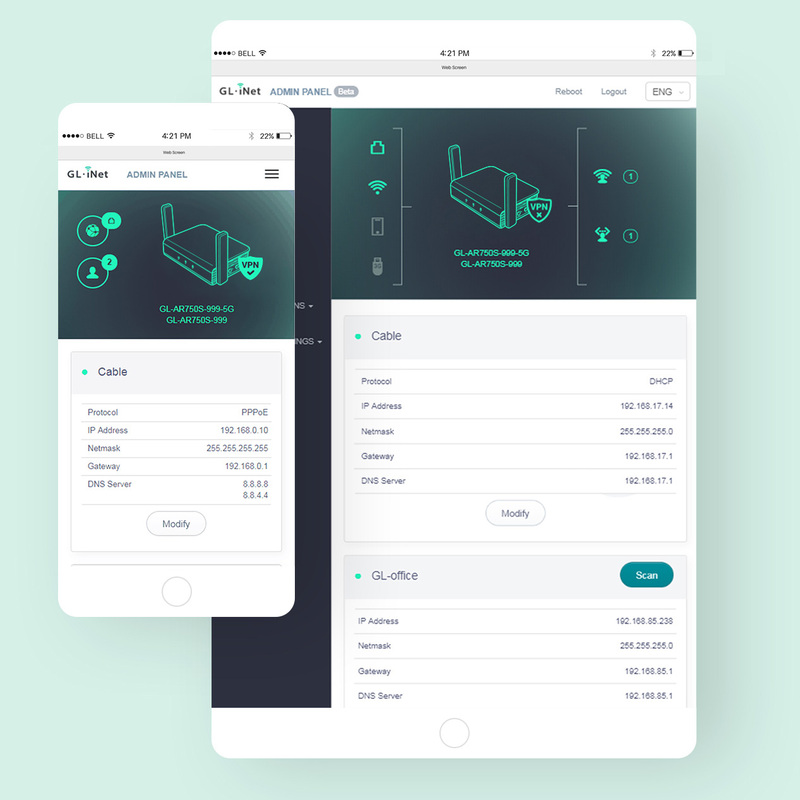 If you invest in the Slate, you won’t have to configure a VPN client on every device or start an encrypted tunnel when you are on a public network. I can recommend the Slate for those who want to be protected wherever they go. It’s hard to imagine that such a compact device has so much functionality, and such a powerful spectrum of security features. If you’re a tech-savvy traveler that’s concerned with security while you’re on the road, (as you should be) then the Slate is an excellent choice. 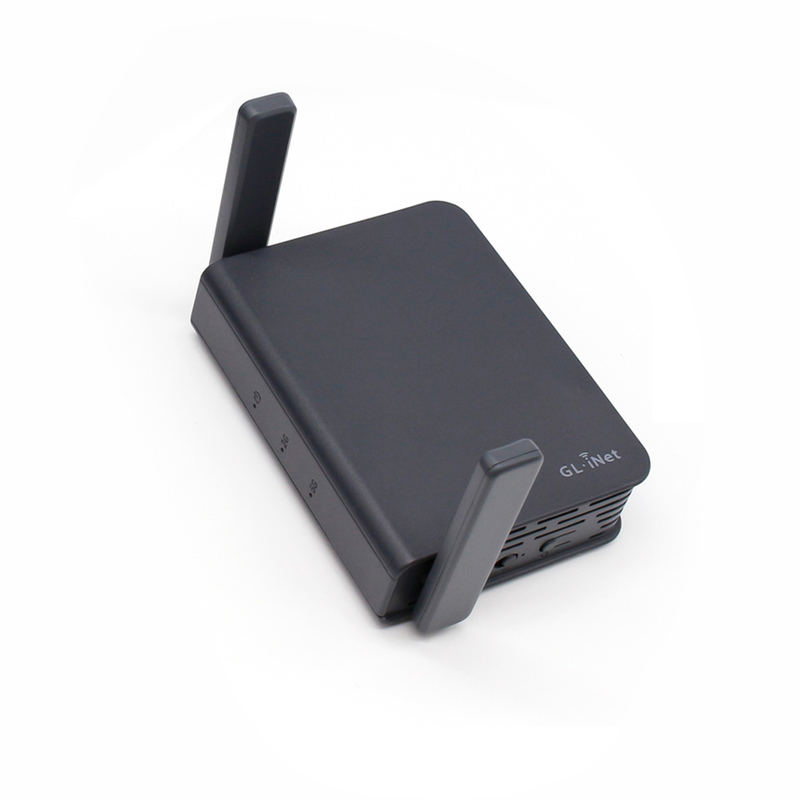 OpenWRT provide many functionalities but it maybe a little too complicated for everyone. GL.iNet provide on Slate a simplified GUI with essential functionalities available. 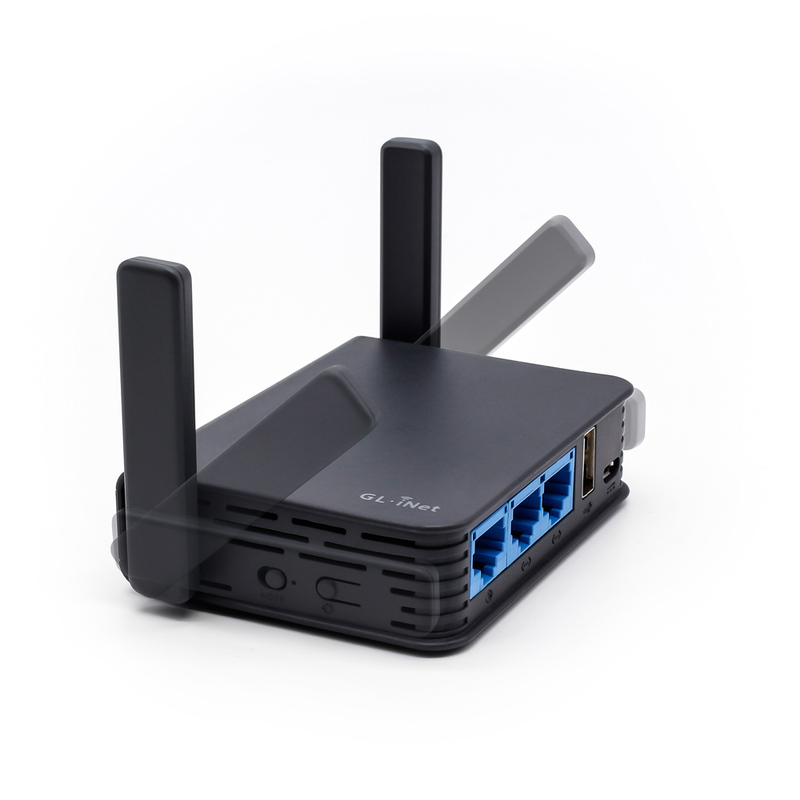 OpenWRT is also available in the same time for advanced users. 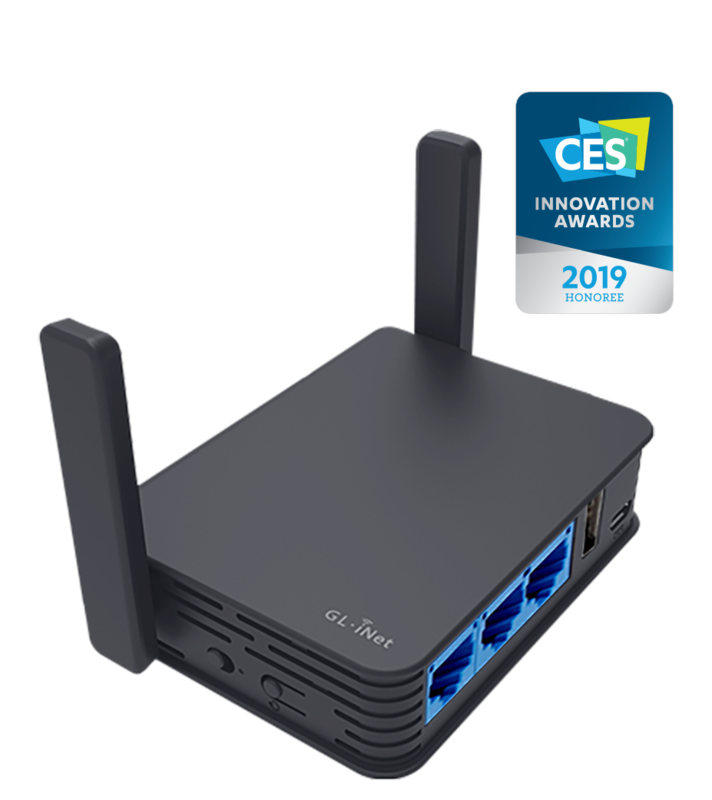 GL.iNet have saved you the hassle and put it on there straight away for you and better yet, as OpenWRT can be quite the handful to configure, have place a very nice user interface over the top for your standard configuration and setup options. We are welcome you to share what you think is exciting about our product to your friends.